The iconic plastic toys and tongue in cheek humor returns next year with new characters, an unlikely hero, and a dust filled dystopian setting… that’s also bright and cheery. It also makes fun of everything… this is going to be great. 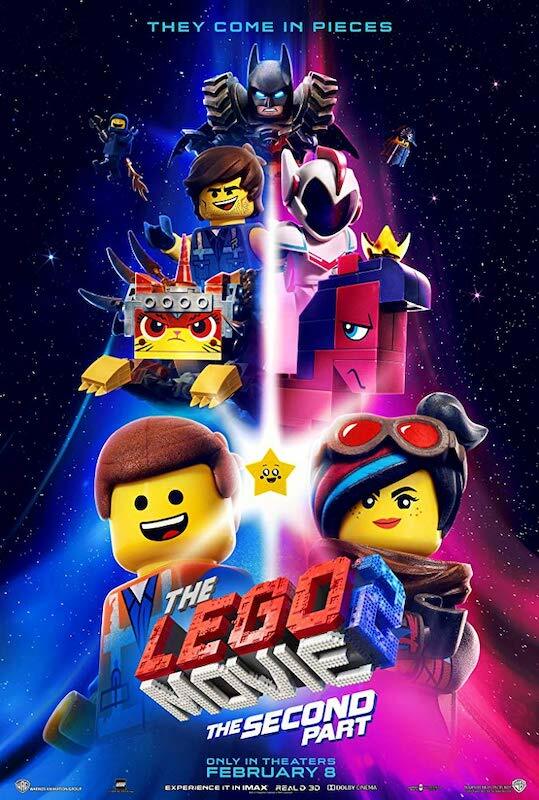 The LEGO movies have been better than they have any right to be given that they’re a bit of a money grab. The writers and animators take full advantage of every licensed property they have at their disposal to create movies filled with self referential and pop culture humor that don’t feel stale and appeal to all ages. And the voice cast they’ve pulled in is just fantastic. Will Arnett is Batman, damnit. The citizens of Bricksburg face a dangerous new threat when LEGO DUPLO invaders from outer space start to wreck everything. It’s now up to Emmet, Lucy, Batman and their friends to defeat the giant marauders and restore harmony to the LEGO universe. The voice cast includes Will Arnett, Elizabeth Banks, Margot Robbie, Chris Pratt, Alison Brie, Nick Offerman, Charlie Day, and Tiffany Haddish. Mike Mitchell and Trisha Gum are co-directing with a script from Phil Lord and Christopher Miller (the pair that led the first movie into success). The invasion begins February 8th next year.